Purifying Aza Toner is a powerful astringent toner that combats accumulation of keratinized skin cells that may clog pores causing comedones. Mildly exfoliating Salicylic, astringent Witch Hazel and pore penetrating Azelaic target congestion and dead skin cells. Water soluble BioSulphur regulates hyperactivity of the sebaceous glands while offering anti-bacterial and anti-inflammatory benefits. After cleansing, dispense toner onto cotton pad and apply to face and neck avoiding contact with eyes. Aqua (Purified Water), Denatured Alcohol/Lavenda Extract, Propanediol, Decyl Glucoside, Polyglyceryl-10, Caprylate/Caprate (and) Coco Glucoside (and) Glyceryl Oleate, Glycerin, Azelaic Acid, Helichrysum Stoechas (Helichrysum) Extract, Salicylic Acid, Sulphur, Hamamelis Virginiana (Witch Hazel) Extract, Hibiscus Sabdariffa Extract, Polysorbate 80, Aloe Barbadensis Extract, Camellia Sinensis Leaf Extract, Sodium Hydroxide. • BioSulphur – Offers three benefits to breakout prone skin: antibacterial, anti-inflammatory and sebum regulating. • Azelaic Acid – Is a pharmaceutical anti-acne agent that provides antibacterial and comedolytic effects. It is effective against a number of skin conditions, from mild to moderate acne. It helps to stop the growth of skin bacteria that causes acne and keep the skin pores clean. 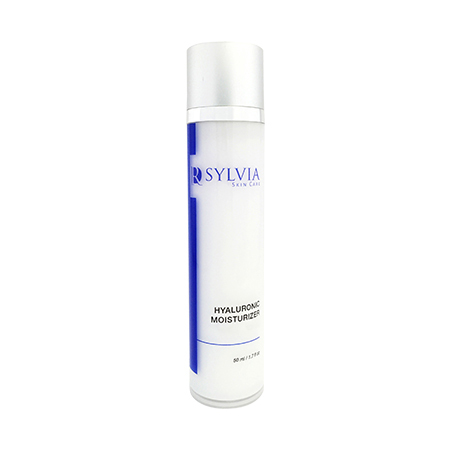 Azelaic acid is also a reversible inhibitor of tyrosinase, delivering whitening effects to the skin. • Witch Hazel – Is a plant distillate that is naturally antibacterial and can effectively remove dirt and oil from skin without over drying. It helps control oil production on the skin, maintaining a normal balance between oily and dry. • Salicylic Acid – Is a ‘keratolytic’ as it breaks down and exfoliates dead skin cells. Salicylic acid is beneficial for the blocked pores (comedonal) type of acne because it penetrates the hair follicle and helps prevent pores from getting clogged. It is also beneficial for minor lightening of discoloration or hyperpigmentation that result from the acne. Copyright @ 2018 www.drsylviaskincare.com. All rights reserved. Subscribe to the Dr Sylvia Skin Care mailing list to receive updates on new arrivals, special offers and other discount information.